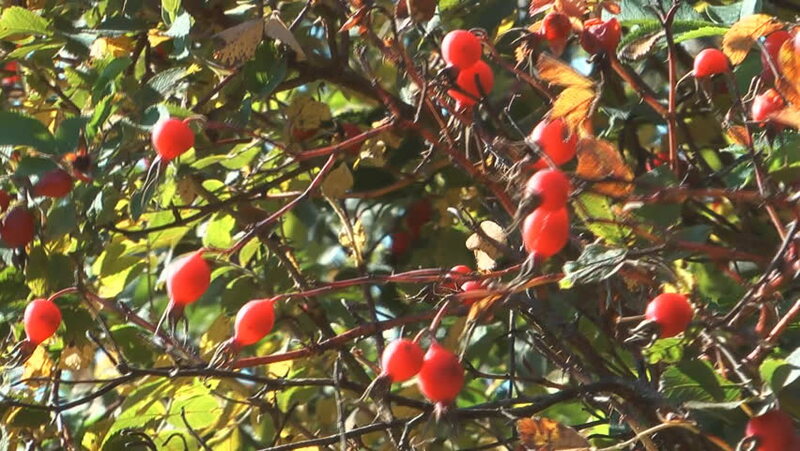 HD 1080 closeup clip of dogrose bush with berry. hd00:30dolly shot Greenhouse Tomatoes on the Vine. Dolly shot of ripening tomatoes on the vine in a greenhouse.